Der THÜV - thms Webseite! The Health Ministry appreciates the work of the THMS Society. 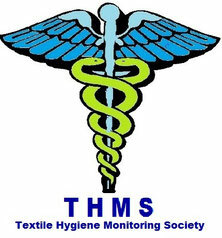 THMS is None profit organization which campaigns for infection protection on textiles. We help increment the standard of hygiene and how to protect against infection privately in public. What we are sure is knowledge that enzymes are in the excretions of house dust mites allergens that can cause allergies by harming our immune system. We use our beds an average of 7 hours a day, so mattress hygiene is particularly important. For allergic persons, the contact with allergens is responsible for triggering allergic reactions that can be life-threatening. It is also safe, who has an allergy first, he will have to fight for a lifetime, since it has not been possible to cure allergies. Worse still, allergies can also change our genetic make-up due to the ongoing (chronic) course, so the following generations can already be born with these allergies. 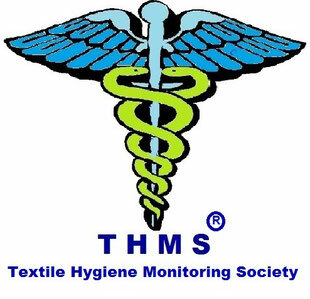 We at THMS have specialized in the very neglected area of textile hygiene. This is also the largest source of ALLERGIES, as all the textiles used by us are able to live undisturbed mites and produce mass allergens. But also other pathogens are left behind in communal textiles. Hotel mattresses are used year by more than 120 people who leave around 180 liters of body fluids associated with viruses, bacteria and fungal spores, without which they have been washed or disinfected. Bacteria, viruses and even fungal spores survive several weeks and can be transferred to other users. A freshly laundered linen doe´s not protect.